Whether it's alone in the driveway or during an intense practice, every young hockey player pictures the same thing: A shot in the waning moments of a title game that clinches a big win. Sometimes it's Game 7 of the Stanley Cup Final, for others it's a state or league championship, but the image is always the same. That dream of making an unforgettable shot, however, takes years of practice and commitment in real life. 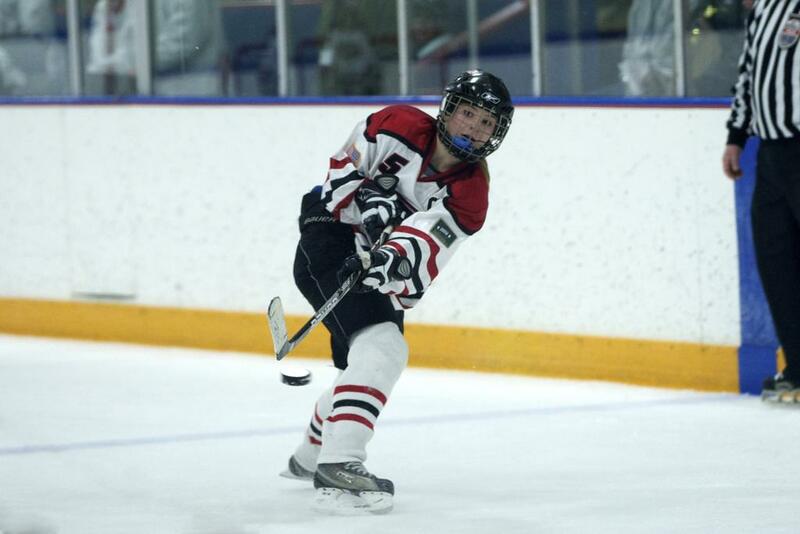 There are countless skills young forwards and defensemen must work on to improve their shots. Each of these help create the technique that turns a harmless wrist or slap shot into one destined for the back of the net. Ian Moran spent parts of 11 seasons in the National Hockey League as a defenseman, three of those years with the Boston Bruins. Over his career, Moran developed a reliable shot thanks to a handful of basic techniques he picked up while playing youth hockey and at Boston College. One key he points out to young players—they can work on their shots both on the ice and away from the rink. Additionally, Moran says some parts of a strong shot come from drills, workouts, and routines that have nothing to do with shooting. But the bottom line is that the best way for any young player to develop a good shot comes from practice. He explains that this constant repetition builds muscle memory in your arms, legs and your core. "All of that also helps with stick-handling and puck-handling, developing soft hands instead of stone hands, as I call them, so you can get good shots off quickly." Away from the rink, young players can focus on strength training, Moran says. The split-second shift from back to front leg, along with the follow-through, builds the velocity in every kind of shot. Any activities that build those muscles will help your shot. Even playing other complementary sports during the offseason will help. "Whether you're taking a slap shot, wrist shot, backhander or any kind of shot really, transferring weight is where a good shot comes from." Still, the hardest shot in the world doesn't mean much if it misses the net. "For accuracy, shooting on any kind of fixed targets on and off the ice will help," Moran says. "Again that goes back to the repetition. You really can't practice shooting enough." Like any other part of the game, great shots are made better from a foundation of strong skating. Drills that help players learn to effortlessly accept pucks and transition to a balanced shooting posture only make it easier to take good shots. "I've seen a lot of guys in my time that had hard shots, but they didn't have great balance, so they couldn't shoot well in games,” Moran says. “If you have to stop moving your feet to shoot pucks, goalies are going to make saves on you." Players that struggle to develop quick, accurate shots can't get discouraged, however. Nor should smaller players. Like any other part of the game, Moran notes, it takes hours of practice and repetition to perfect a great shot. All it takes is a commitment to improving your shot as well as other parts of the game and before long it will lead to the scenario every player dreams of—making that game-winning goal a reality.